The CDC is carefully watching the Influenza A (H3N2) variant virus outbreak. The main infection is coming from close contact with pigs at fair settings this summer. Children under 10 are most susceptible due to potential lack of immunity. Limited Human to human transmission has occurred raising concerns. Caution is recommended amid further surveillance. 2012 is turning out to be a difficult year for West Nile Virus (WNV). Be sure to eliminate standing water and breeding grounds for mosquitos who can carry WNV. Wear insect repellant if you are going to be outdoors, especially in the evenings. People over 50 are more likely to have serious disease. Less than 1% will have serious neurological complications. 20% will have a flu like symptoms or rash. 80% may have no symptoms at all. 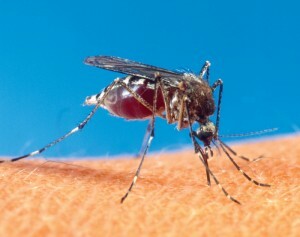 For more information check out the FAQs at the CDC http://www.cdc.gov/ncidod/dvbid/westnile/wnv_factSheet.htm. The Nursing shortage will be returning soon, along with an improving economy. Expect the shortage to be more severe than ever based on 2 factors. Older Nurses remained in the workforce during the recession and are now eager to retire. The shortage of nursing faculty is even more acute than the shortage of nurses. 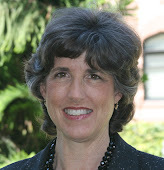 My own experience shows that there are insufficient numbers of doctorally prepared nurses to step into faculty roles. This shortage creates an extremely stressful working environment. As states and universities push to add more students to nursing programs, the already overworked faculty are often required to take on the extra workload. And for nursing you can't just hire any warm body on the street corner. There are very few teaching jobs where the faculty need to worry about whether their students will kill someone that day. Nursing is one of them. Young nurses - please consider going on to a doctorate - don't just do the Master's program to boost your clinical competence - head straight to the PhD or DNP. Please contact me if you are a nursing program struggling with this situation. Or a student interested in a career in academic nursing.